Easter was super early this year, so now we are almost to April and don't really have anything to look forward to until the kids get out of school the week of Memorial Day! I feel like we have had a ton of days off from school recently and now there are no breaks until the end! It is going to be a long 10 weeks. I am trying not to wish away Spring. The weather has been amazing here and we have enjoyed a lot of time outside (even thought pollen count has been amazingly high as well). 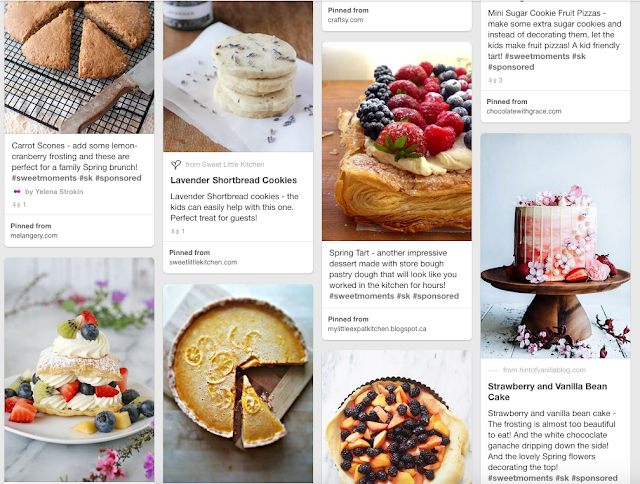 I have been putting together a fun Pinterest board full of yummy Spring dessert ideas. We probably won't make even a fraction of them, but we will definitely give a couple a try as the weather warms up. Maybe they will be just what we need to survive until Summer vacation! Just looking at the beautiful pictures helps a little! Don't you think? Amazing Sweet Treats for spring! Thanks a lot for the post. I tasted such amazing party treats at my cousin’s birthday party at one of venues in NYC. The entire party was very interesting and arrangements were superb.